Dogs come to us for our promise of All Day Play Snooze the Night Away. ® Camp Bow Wow’s 100-plus unit franchise system is the nation’s largest pet care franchise. We’ve always said it takes a special breed of person to get into the business of caring for animals. If you’re an animal lover who’s trying to figure out a way to combine your passion with your need to build wealth, then you’ve undoubtedly been exploring your options. 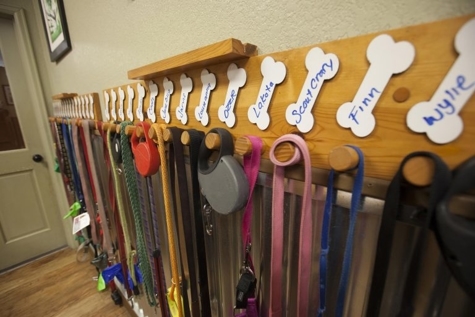 While it’s true some pet store franchises and chains have been branching out into the doggy day care and boarding services, Camp Bow Wow has been specializing in these areas all along. Many prospective buyers turn towards pet stores at first, simply because that’s what we’re all so familiar with. But you may not have realized you could join a $90 million* franchise system with a proven track record of success. If you’ve been considering buying a pet store, here are some reasons you might prefer Camp Bow Wow instead. No. 1. You can focus almost exclusively on dogs. No. 2. We’re the largest pet care franchise in the country. The biggest pet store chains are starting to branch out into day care, training, grooming and boarding. There’s nothing wrong with that, but they simply don’t have the kind of institutional knowledge we’ve gleaned or the processes we’ve honed for our Camps in our 15-plus years in business. Some pet stores are understandably trying to strengthen their profit margins, but the business of taking care of dogs is more than just a side business for Camp Bow Wow. It’s who we are. Why spend all your time selling pet supplies when you could be concentrating on a business that provides a valuable service to dogs and the people who love them? If you’d like to find out more about why a Camp Bow Wow investment might be a better choice than a pet store franchise, please fill out the form to download our free franchise report. You can also explore our research pages to discover more details on Camp Bow Wow’s value proposition and company culture. * Figure represents the system-wide consolidated, unaudited gross revenue for the 131 franchises and 7 corporate locations that were open and operating for any length of time during the 12-month period ending on December 31, 2016. The financial performance representation contained in Item 19 of our 2016 Franchise Disclosure Document also includes: (1) annual unit-level gross revenue; (2) annual average gross ticket and, (3) selected expenses for expense-reporting franchises. ** Figure represents the aggregate increase in annual gross revenue for the 131 franchises that were open and operating for any length of time during the 12-month period ending on December 31, 2015 when compared to the aggregate annual gross revenue for the 130 franchises that were open and operating for any length of time during the 12-month period ending on December 31, 2014. The financial performance representation contained in Item 19 of our 2016 Franchise Disclosure Document also includes: (1) annual unit-level gross revenue; (2) annual average gross ticket and, (3) selected expenses for expense-reporting franchises.